We are off on holiday in just two days and we can’t wait. We fly to Cyprus with my mum so I will have her on hand to help with the children. But, on the way home I fly solo with the two of them and I will admit I am a little nervous as I have never flown with them on my own before. It is a five hour flight so not a short one. We fly back home in the morning so the children will be all bright eyed and ready for the day. I have packed our hand luggage bag already, I did it this weekend and it is all ready to go. Inside I have put as many activities and things that I thought would keep them entertained on the way there and back. We did fly to Turkey last year as a family and we had no problems what so ever with the children so were very lucky. The only difference being that the flight was only two hours. I will be keeping my fingers crossed that they are well behaved for me on the way home. I like to think they will be, as our flight last year went so well. I bought them some colouring in pads and colours. This will keep them busy for a while. Daniel and I will download a film onto each of their iPads so that they have something to watch. I am taking Archie’s Tula carrier instead of a pushchair as I much prefer to carry him and find this a lot easier then manoeuvring and hauling the pushchair along with us everywhere. I saw this idea over on Mrs Meldrums Channel and thought it was brilliant. The children can colour in their toilet rolls with the colours I have brought them and then use them as a telescope. I know both my children will really enjoy this. I purchased some of their favourite sweets to eat and keep them busy. I packed a selection of books they enjoy, they both enjoy listening to me read them stories so I know this will keep them occupied if all else fails. So these are my tips, I hope you found them useful and I would love to hear any tips you may have for travelling with two young children. 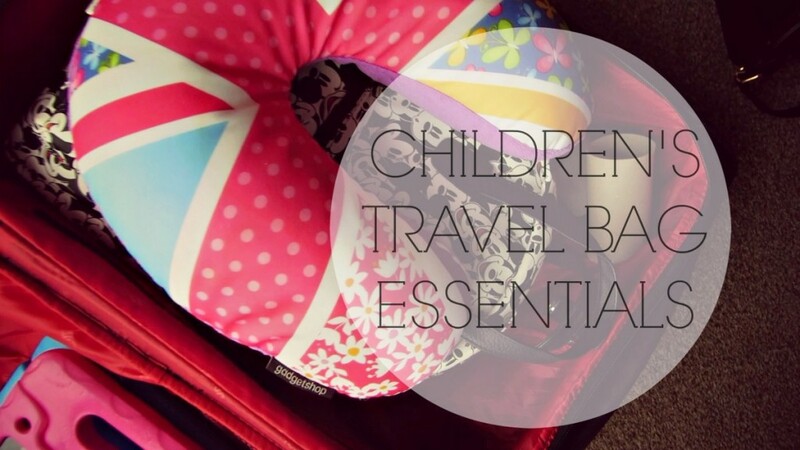 I also filmed a vlog: Children’s Travel Essentials, if you wanted a closer look as to what I packed for them. Great suggestions, I will be using them when we travel in September! Harriet from Toby & Roo recently posted…Transgender discrimination : Why it teaches your kids to be assholes. Sian QuiteFranklySheSaid recently posted…Happy Days: My Brother Got Married! When you are planning traveling with your kids you might imagine relaxation and calm. kids can be a real pain, if you don’t come prepared. Arming your kids with loads of different kids entertainment options, you children won’t have a dull moment and you will have your desired relaxation and rest. Children often fall asleep while traveling in a car, train or plain. The result of that is more often than not a cranky and upset child. By taking measures to insure that your child sleeps well when traveling and is awoken gently, you can significantly minimize the time your child takes to wake up.